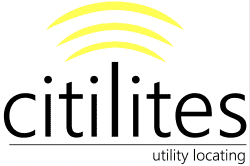 I am pleased to announce that USIC has entered into a partnership with Citi Lites, a premier provider of underground utility locating services in Minnesota. This strategic acquisition further expands USIC’s footprint within the state of Minnesota. Citi Lites was founded by Dennis and Cindy Peterson who will remain engaged with the operation during the transition. There are over 80 employees that are transitioning from Citi Lites to the USIC team and we are well positioned to continue to provide the best locating services throughout the state. We are excited to welcome Dennis, Cindy and their highly qualified team into the USIC family. We are always looking for people who aspire to serve their communities, value quality work, prioritize safety, enjoy solving problems and love being outdoors. If you are a quality conscious, hard-working individual who loves working outdoors, then you should consider a career at USIC!